Beacon Hill at Eastgate offers an expansive selection of social, educational, recreational, culinary, and spiritual activities for residents and guests to enjoy. Click on the calendar below to discover and view the details of our upcoming and current events. This year we are celebrating the coming of Easter with an egg hunt! All are welcome to come: children 3-12 are invited to participate. Invite your family members, neighbors, and friends! Be sure to dress to go outside and bring your own basket. 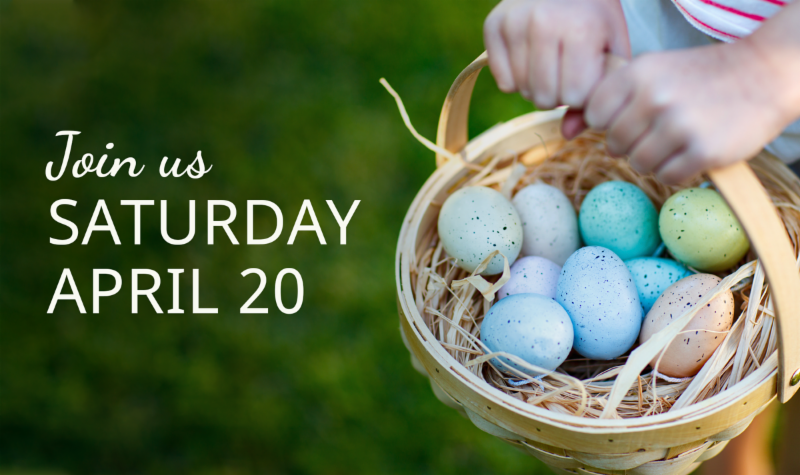 In addition to the egg hunt, there will be face painting, Easter prizes, and lots of fun! • Please follow the Community House signs off of Boston Street SE between the Beacon Hill at Eastgate 1845 and 1919 buildings. Please note: The event will be cancelled if there is rain.